When it comes to shower gel, I never repurchase unless I truly think it's worth it and smells divine. One exception is Lush Snow Fairy Shower Gel (L.E) which comes out in Christmas and it's sweet and candyfloss scent just lingers. Well I have found another shower gel that is worth repurchasing. While I am still getting used to having all my favorite brands within in 15 mins walk from my new home here in London I popped into my local Superdrug in search to try a delicious shower gel. My sister raves about Superdrugs' range and so I hunted them down and found out that they had a "new" range. 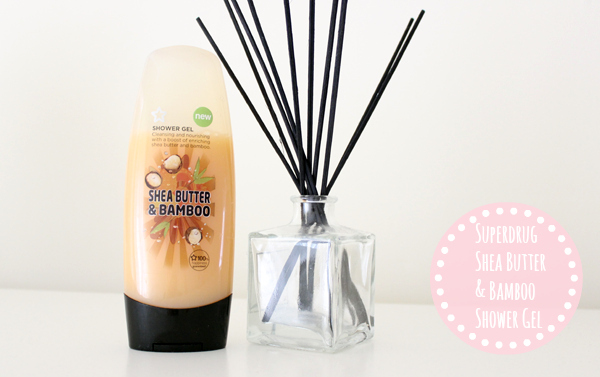 Superdrug Fruit Source Shea Butter & Bamboo Shower Gel £0.89, the name itself makes you hungry for deserts. I smelt it and soon had this urge for caramel. It's scent reminds me of sweet caramel cake while the shea butter aroma relaxes you. 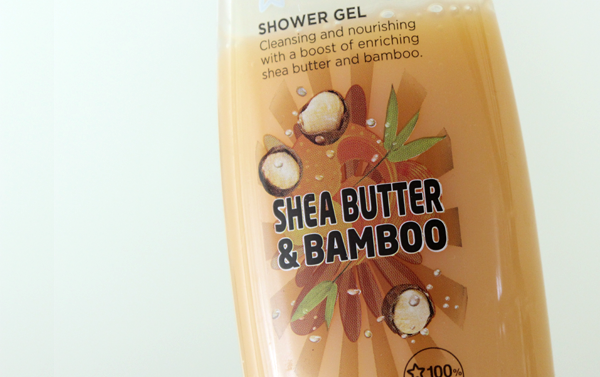 I love how this shower gel just lathers up so creamy and soft and the scent just lingers on the skin for quite awhile. I was hoping to find a body butter to go with this but sadly haven't spotted one yet so Superdrug, if you read this I would highly recommend you to create this lovey combination into a body butter as I would love to smell like this 24/7! I would definitely repurchase this again, for the price just 89p it's a bargain! My sister always recommended me to try their shower gel range and I can't believe I haven't till now! Have you tried anything from their own range in Superdrug? Would you recommend any other product?